Thanks for visiting KXCI’s Locals Only, in Tucson, AZ. 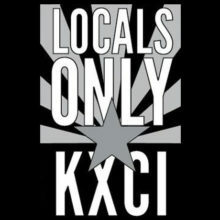 KXCI welcomes guest, Taco Sauce on Locals Only! We’re coming at you this week with another live, in-studio performance from Taco Sauce! They are joining us in Studio 2A for an hour of music and conversation. The show is hosted this week by Matt Milner. What began with few tongue-in-cheek joke lyrics about bad dates with dumb boys, exchanged between best friends over text, has quickly become one of Tucson’s favorite garage-pop/surf-punk bands. After years of dreaming of a starting a riot grrrl band as a side project, a few silly conversations inspired Gabi Montoya (also the front woman of Juju Fontaine) to quickly pen and self-record a track about the frustrations of dating in the Tinder age. “Swipe Left (Nope! )” was immediately followed by “Crashed Your Bike”, a bratty ballad about karmic victories over mean boys before the demos were re-recorded with the help of artist Andrew Shuta. Audiences are often blown away by the trio’s skill, candor, fearlessness, and clever thematic songwriting, through which Montoya seeks to paint a more realistic picture of the complexities of modern womanhood; the good, the bad, and the saucy. Taco Sauce combines the best ingredients from their favorite musical eras with punk rock attitude, presented with a little bit of 60’s girl group soul and swagger. They’ll have you dancing upon the shattered fragments of the patriarchy all night long, and might give you that extra nudge you needed to ditch your lame-o boyfriend. Gabi L – More Drums!